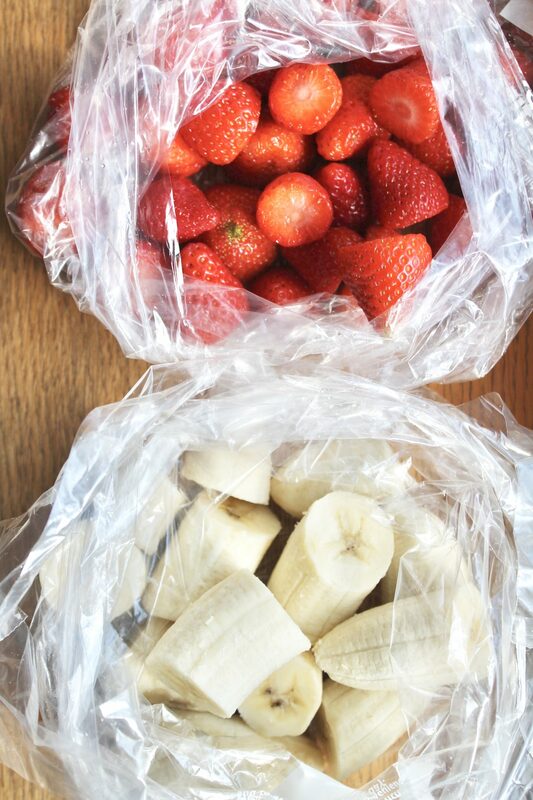 Separating your fruit into portions and freezing them is perfect if you’re a smoothie girl like me. It’s also a great way to preserve fruit so that you don’t have to thrown them away after a couple of days when they start to go off. 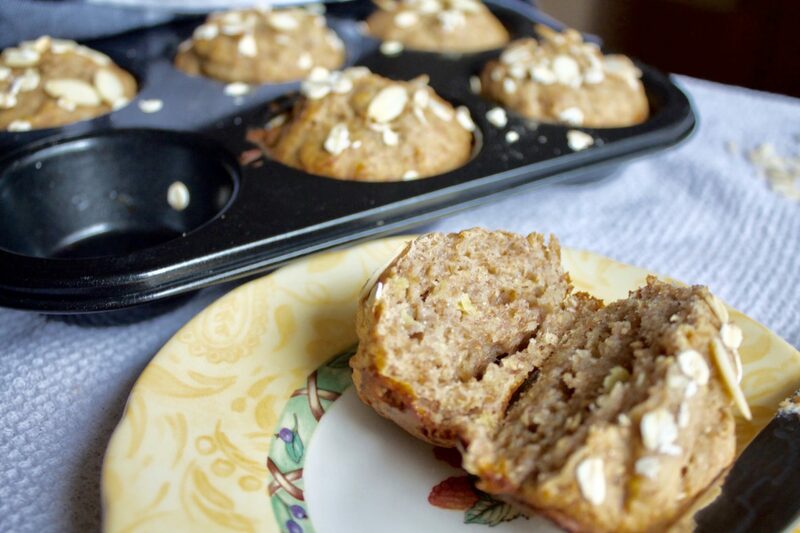 A lot of us skip breakfast as we don’t wake up early enough to make this crucial first meal. 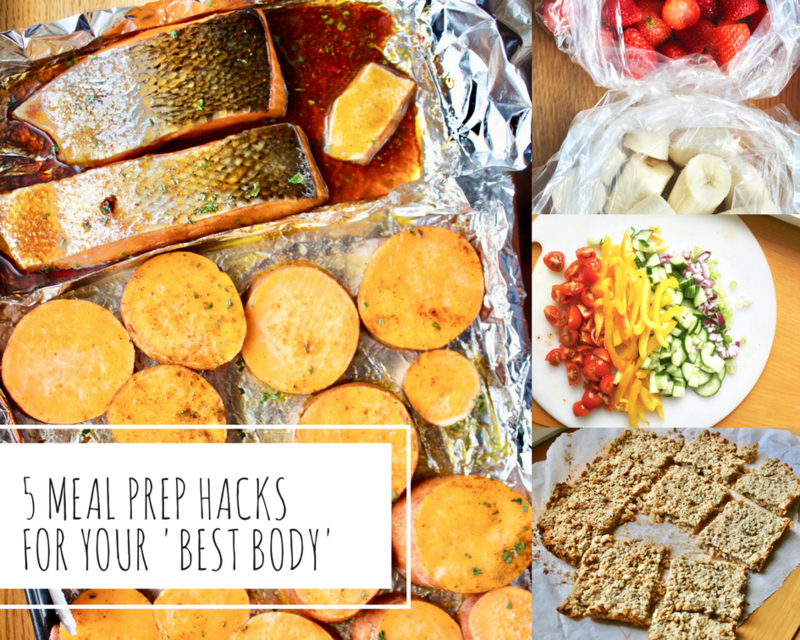 Preparing make-ahead breakfasts is the perfect way to ensure that you fuel yourself for the day without having to spend extra time each morning preparing a meal. 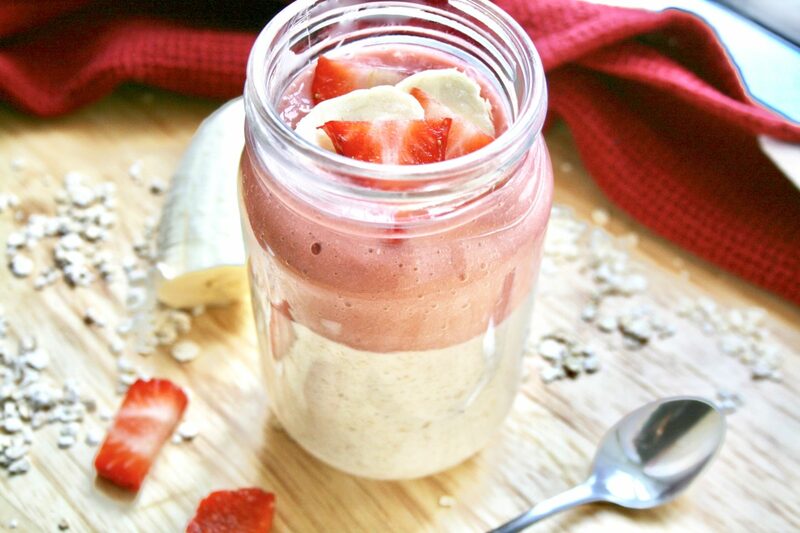 Making grab-and-go breakfasts that last for a few days in the fridge or in air tight containers at room temperature is the way to go! 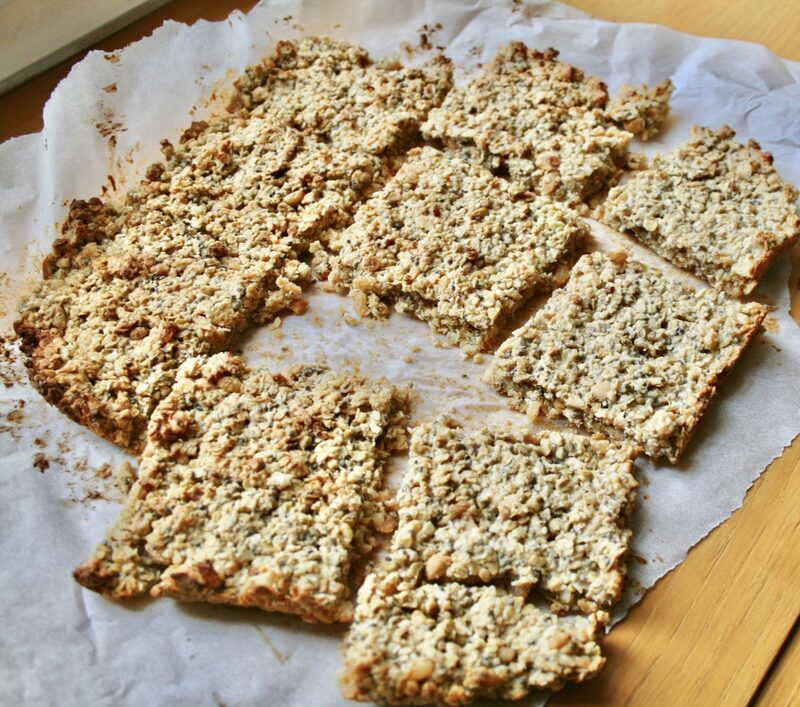 Why not try my BBBB Overnight Oats, Banana and Oat Breakfast Muffins, or my Peanut Butter Oatmeal and Rice Krispies Bar! Oven-cooking your meals saves you a lot of calories from other cooking methods such as frying. 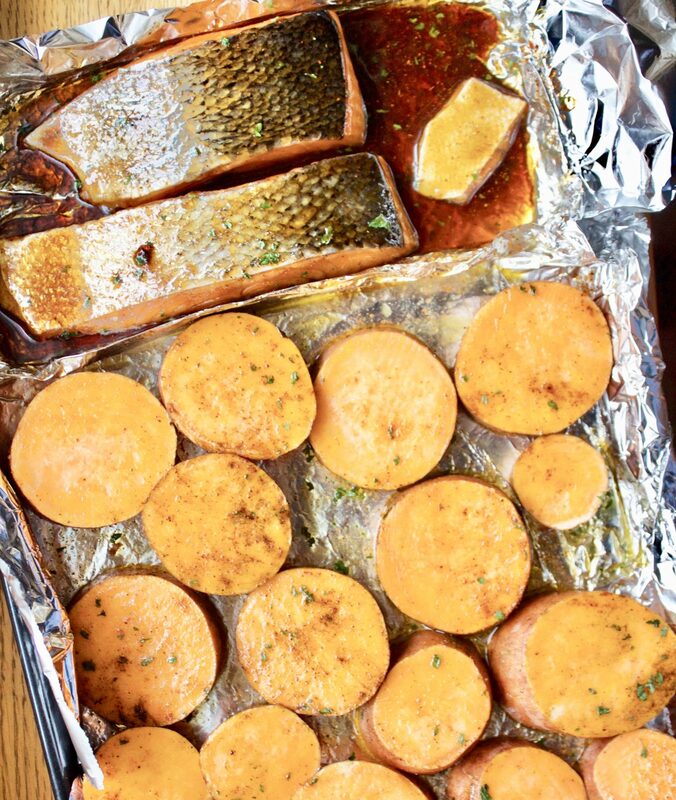 I love to make whole meals on one oven pan and I do this by creating separations between my foods with foil (as shown in the picture below). Trust me, this hack will save you a lot of time in the kitchen! 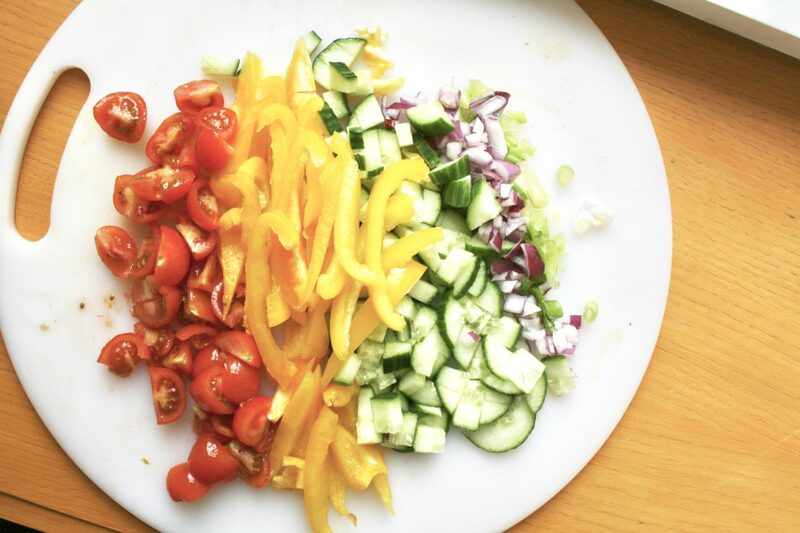 Pre-chopping your veggies every two days is another great way to save time whilst preparing your meals. You can just add them to your meals when you desire! Make sure to keep them in plastic wrap or sealable containers so that they stay fresh. You can even freeze for longer periods of time in order to preserve freshness. They defrost within a few of minutes! When you prepare your lunches for the week, make sure to store them in air-tight containers to preserve their freshness. Tupperware is an essential kitchen tool to make your meal prepping much easier. This way, you can just grab your pre-prepared lunches in the morning and that’s your lunch sorted for the day. 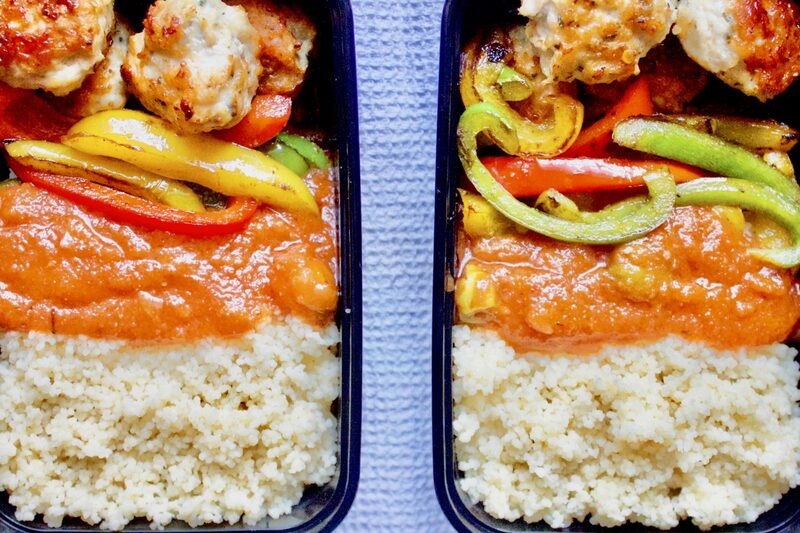 Why not try my Turkey Meatballs with Couscous, Ghanaian Stew and Sautéed Peppers recipe? (As shown in the picture below). I hope you liked this post and found it insightful!